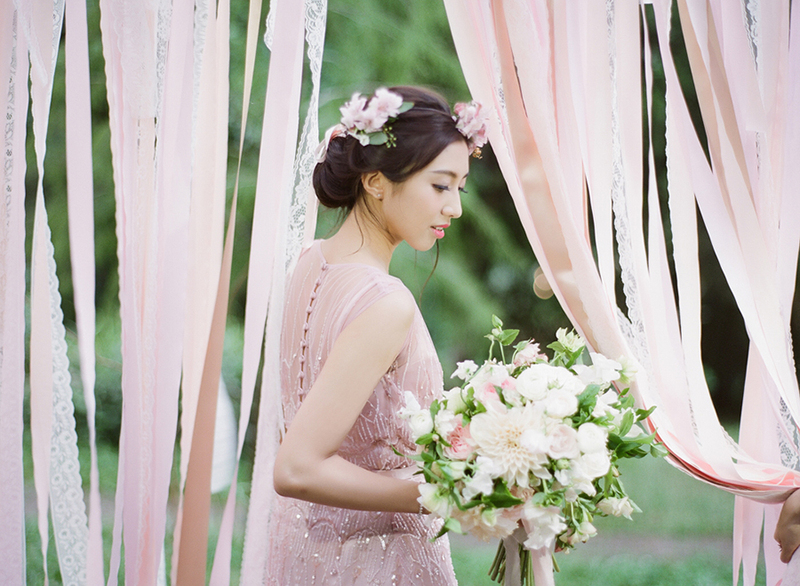 Pantone has chosen a softer take on colour for 2016 by introducing a blend of two shades - Rose Quartz and Serenity as the Color of the Year 2016. 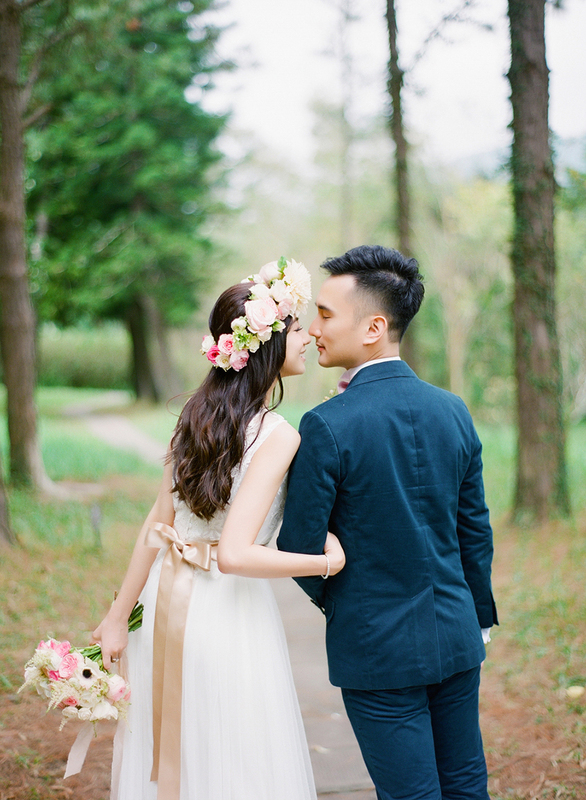 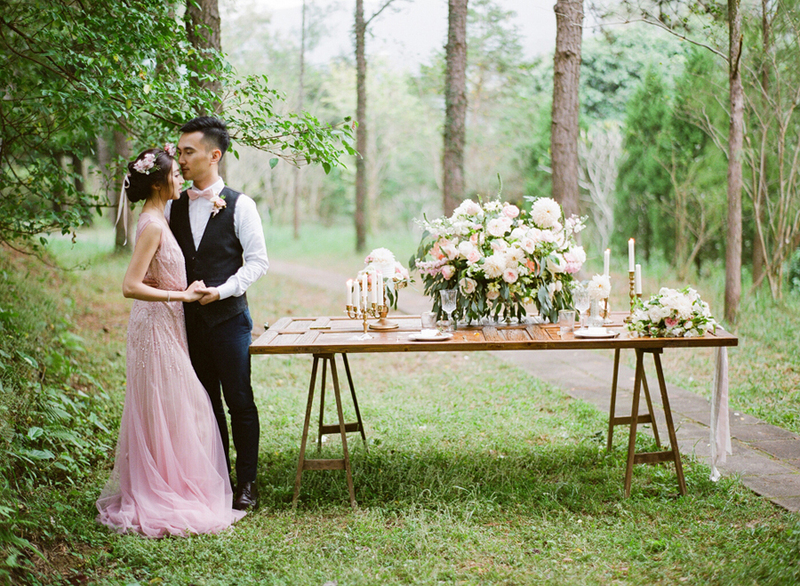 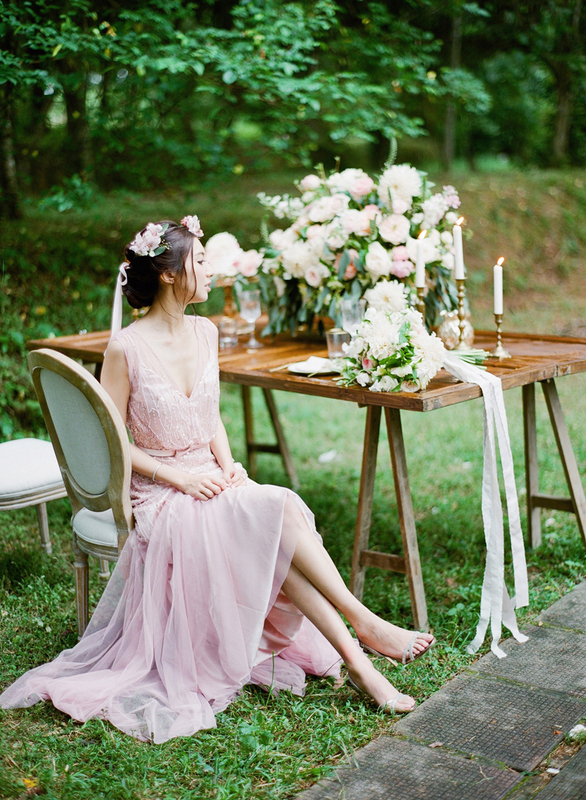 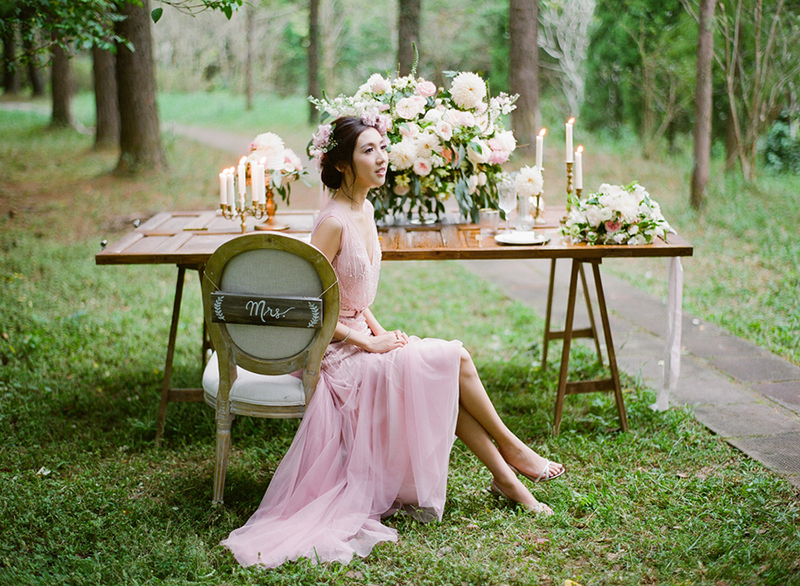 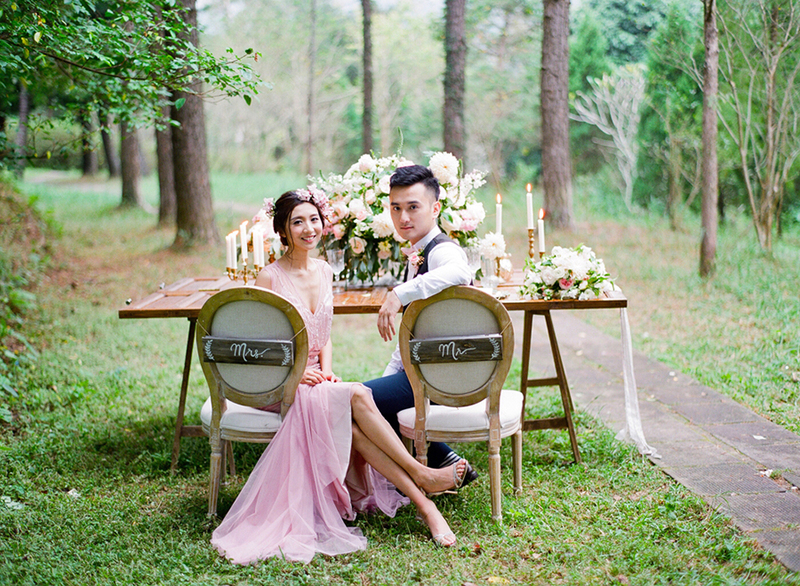 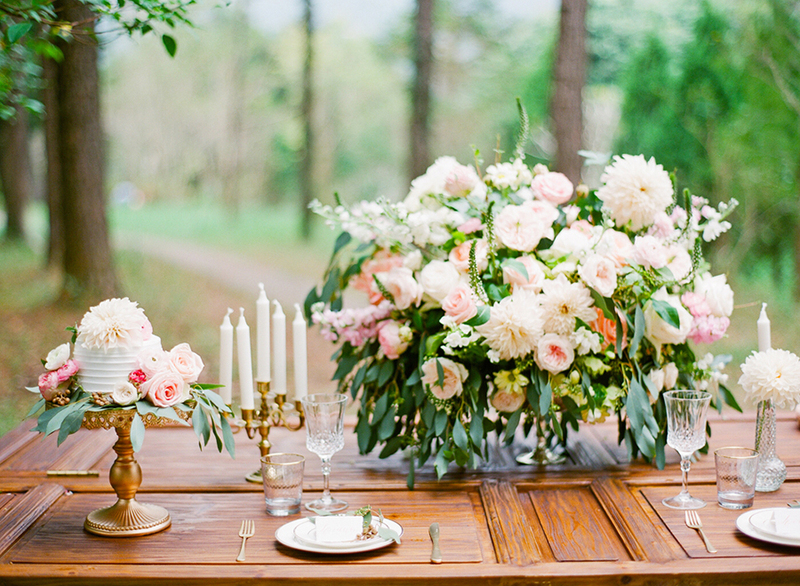 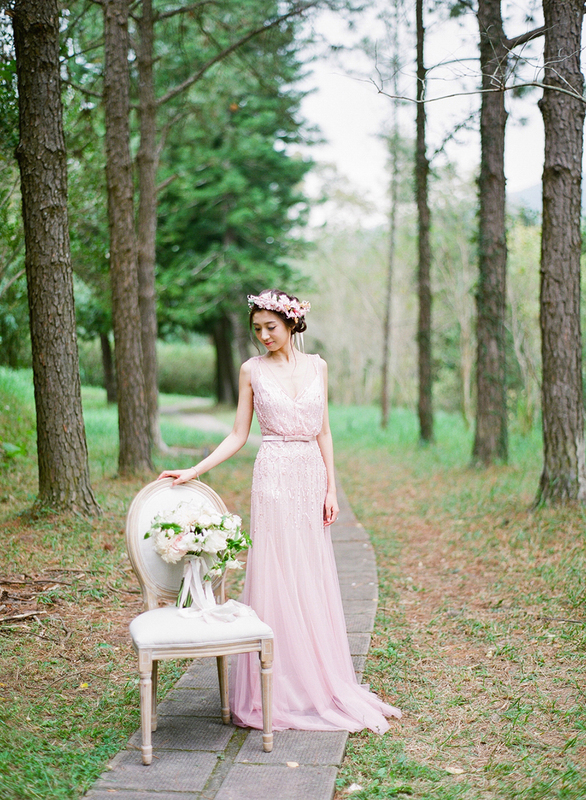 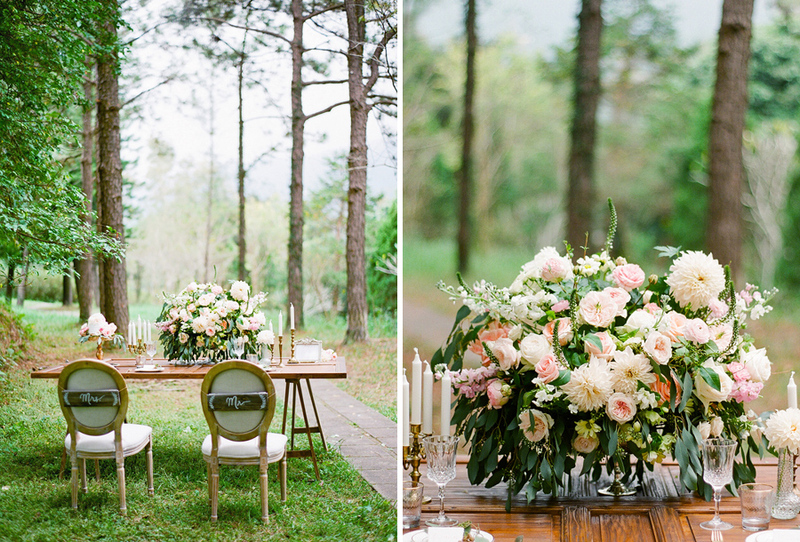 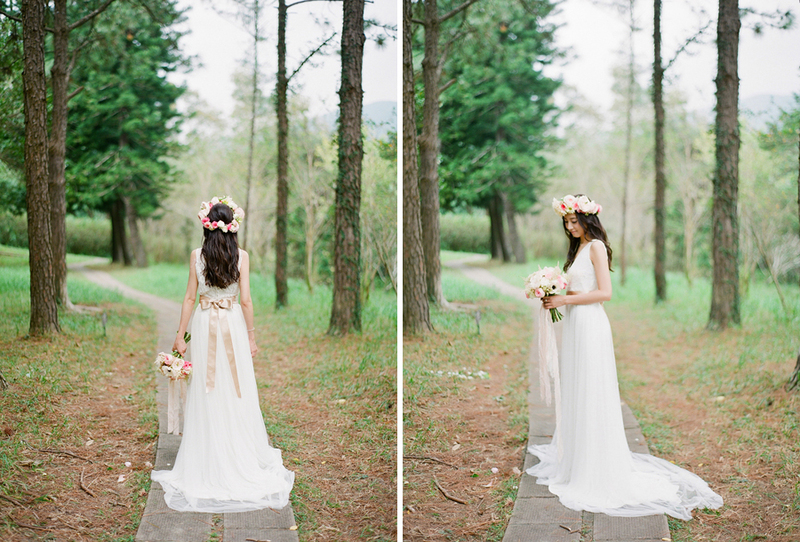 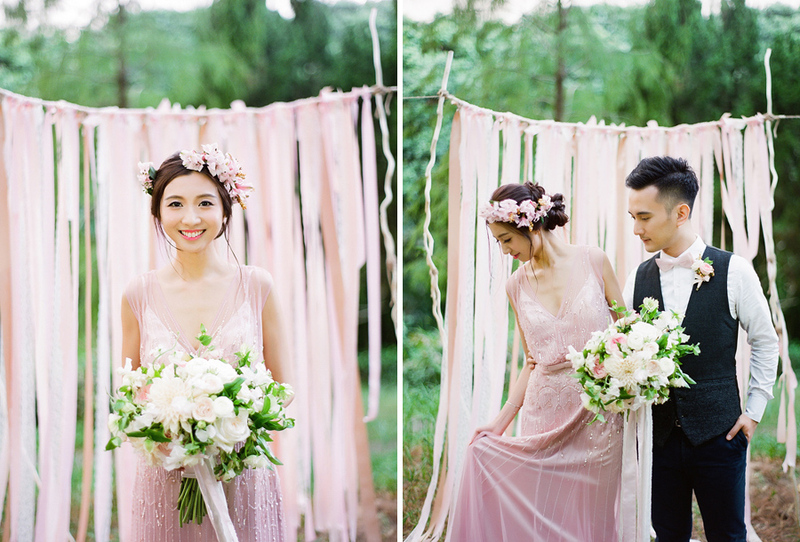 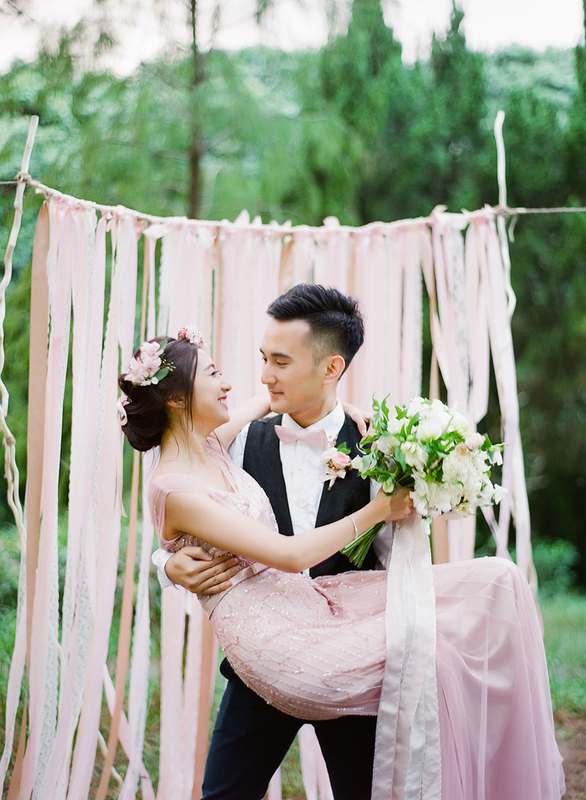 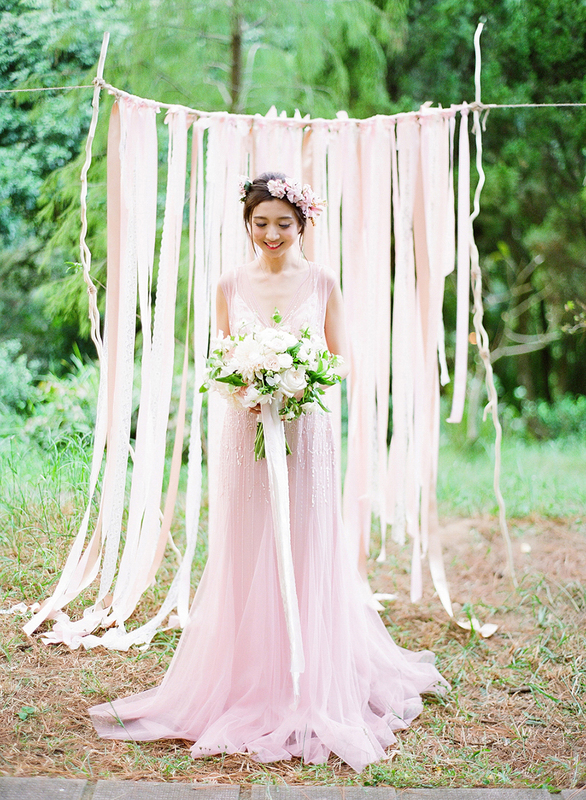 Showing us how to weave one of these hues into weddings is Hong-Kong based photographer Jenny Tong and florist Meadows Flowers & Styling in a romantic wooded shoot which features a bride in a blush beaded gown and reams of pink ribbon. 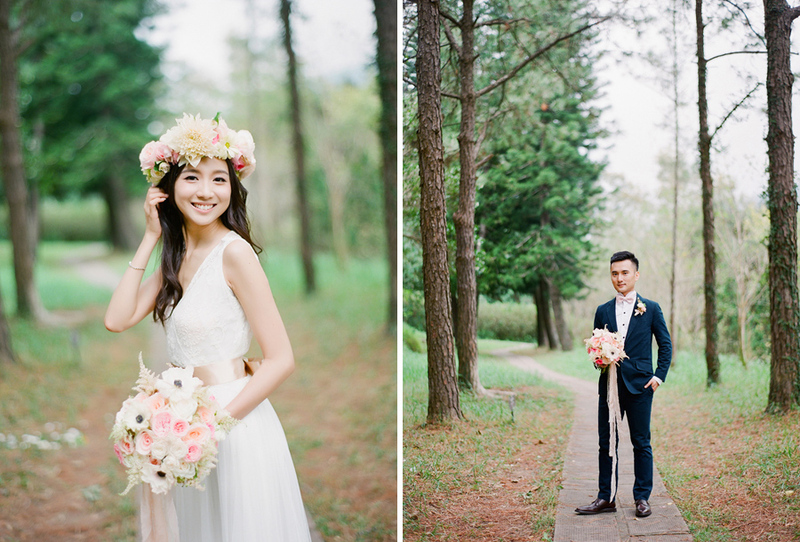 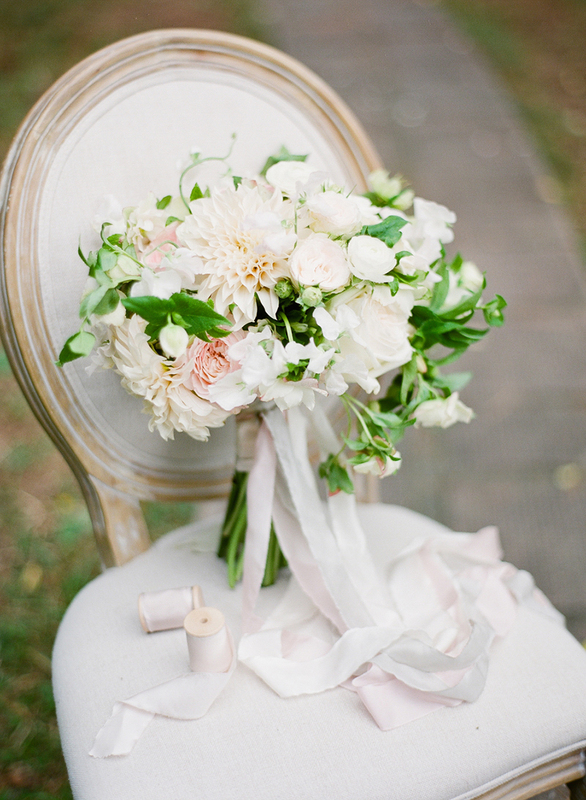 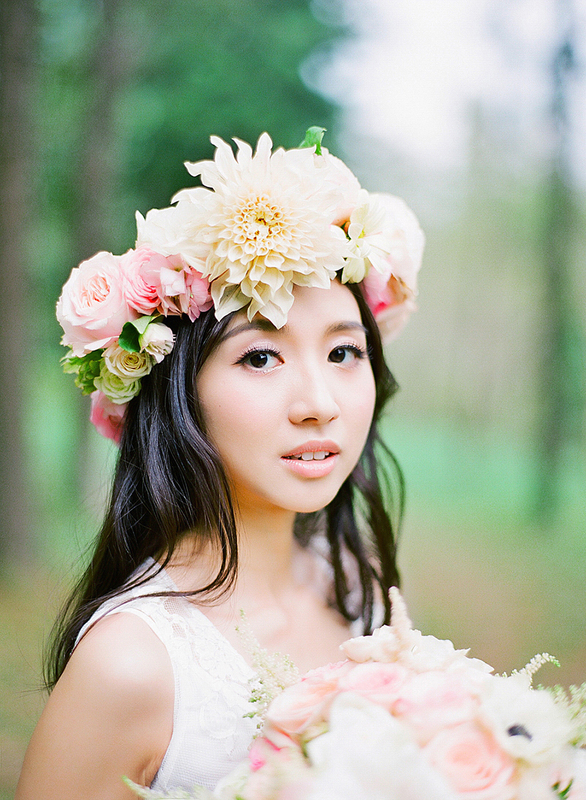 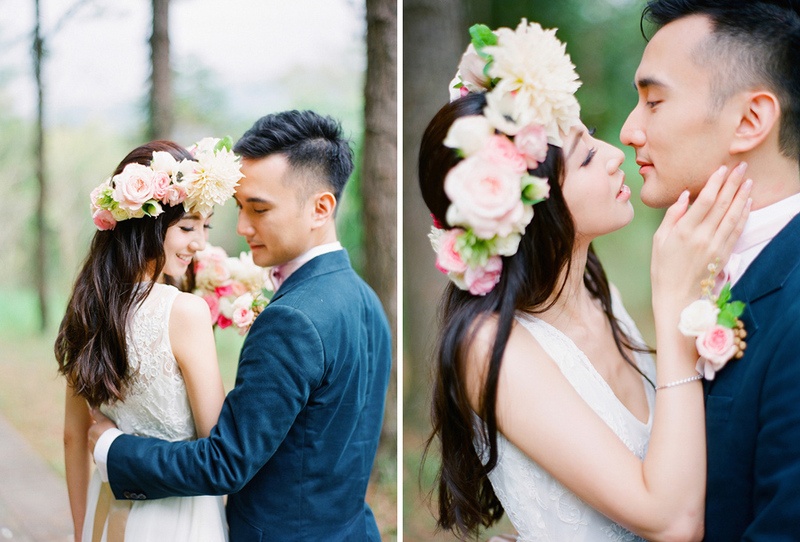 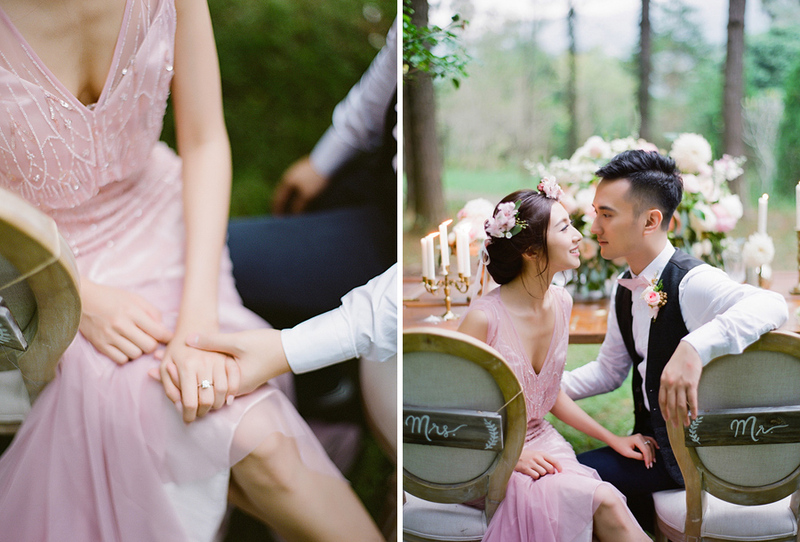 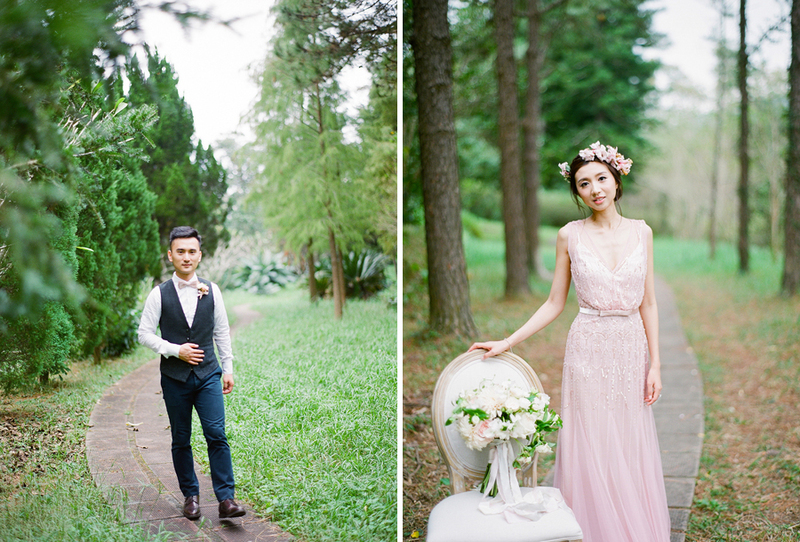 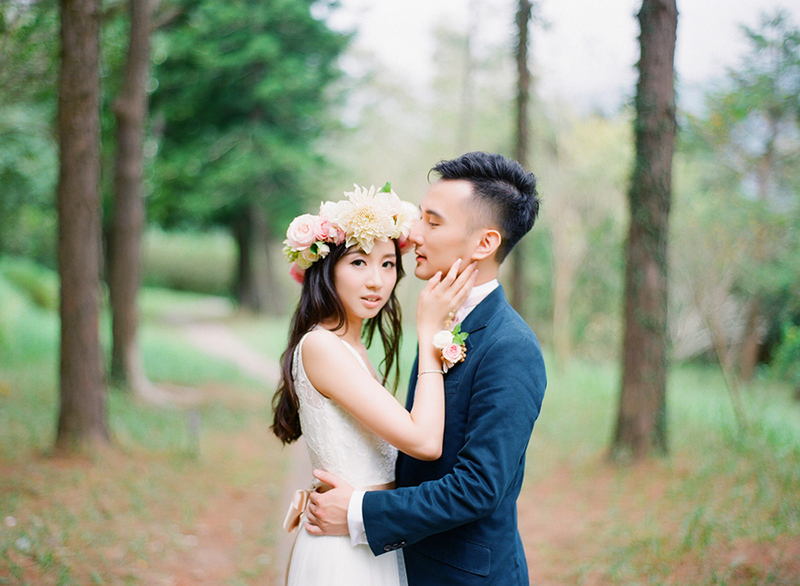 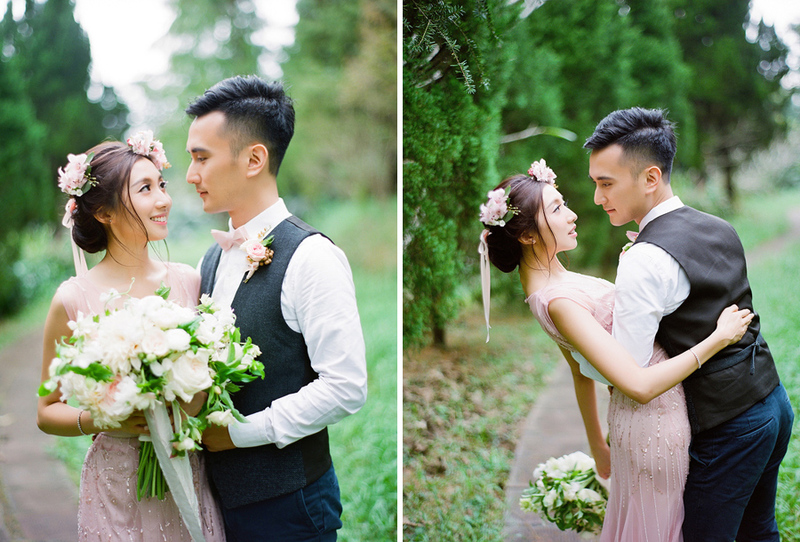 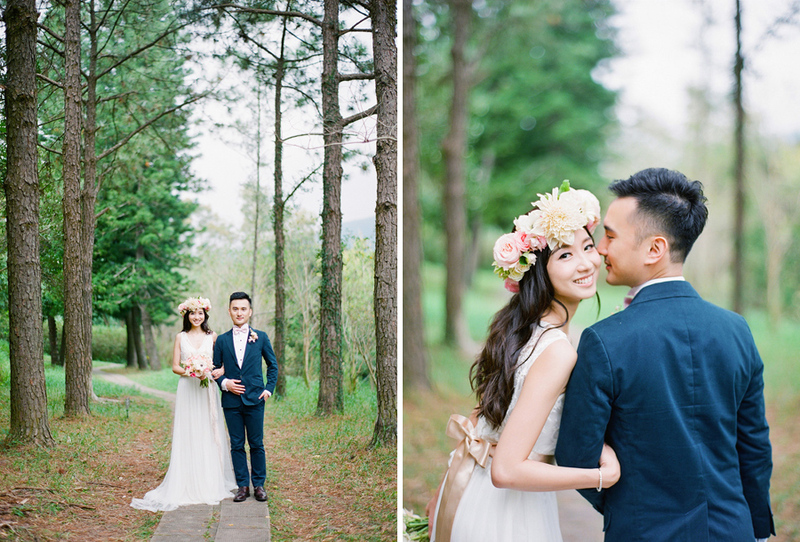 “A group of established wedding vendors in Hong Kong came together to create an exquisite engagement session in gentle dreamy colours of soft apricot, blush pink and snow white with a tinge of gold. 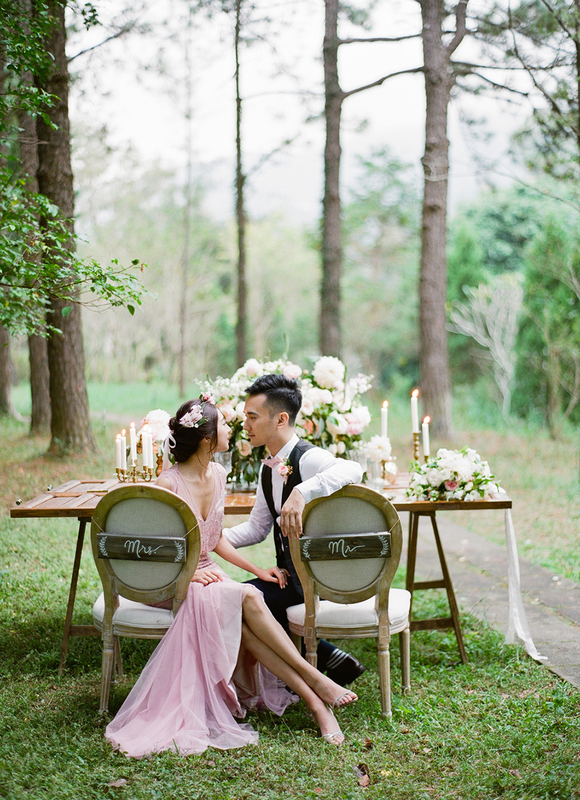 The loving couple were surrounded by flowers such as peonies, sweet peas, and garden rose varieties like Charity, Keira, Bridal Piano and Tiffany etc. 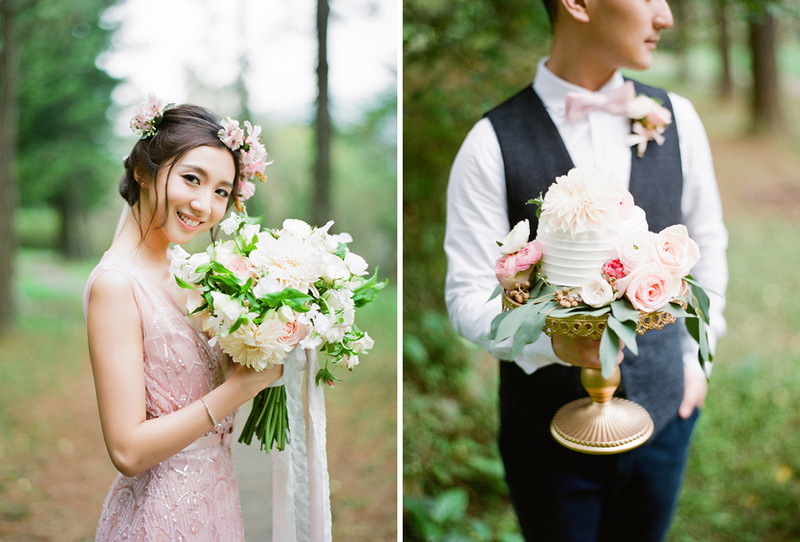 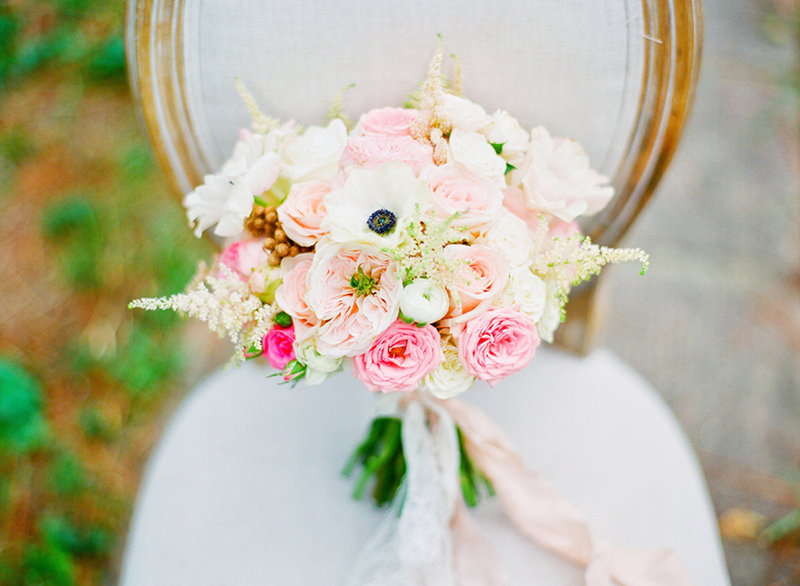 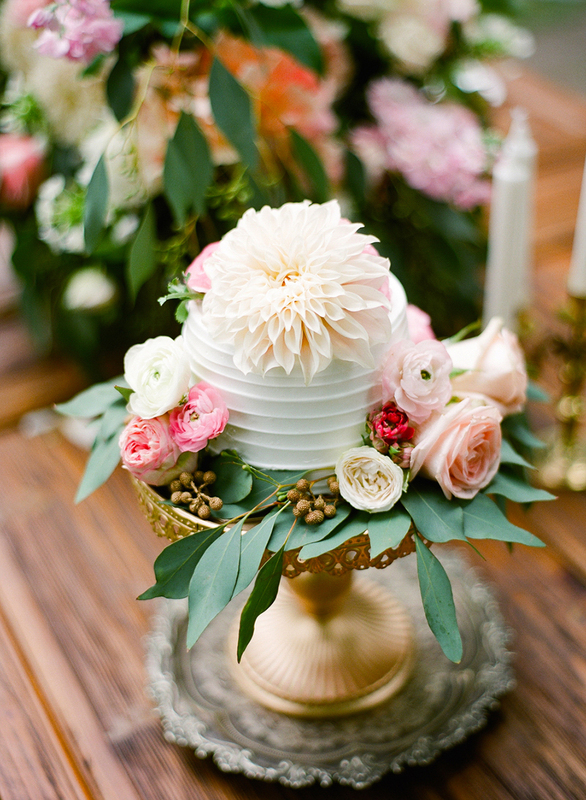 The choice of flowers were inspired by an English garden in Spring. 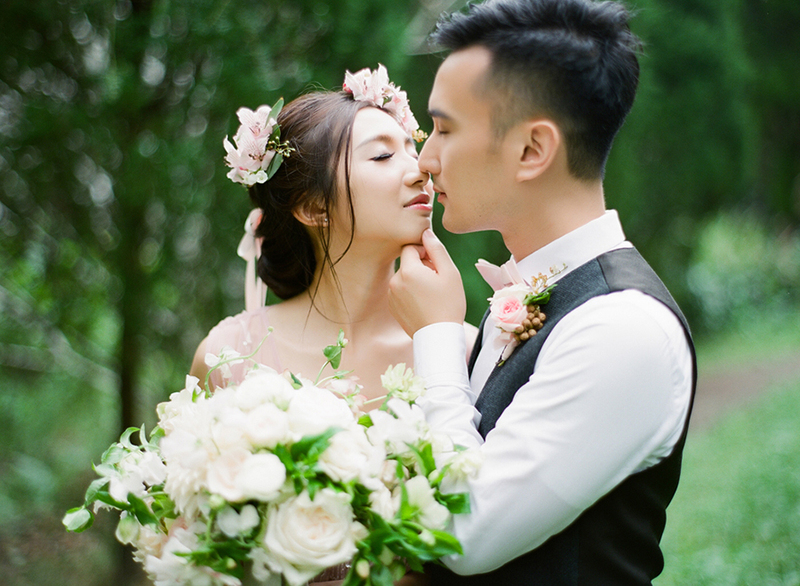 Jenny Tong Photography captured every precious, beautiful and emotional moment using film. 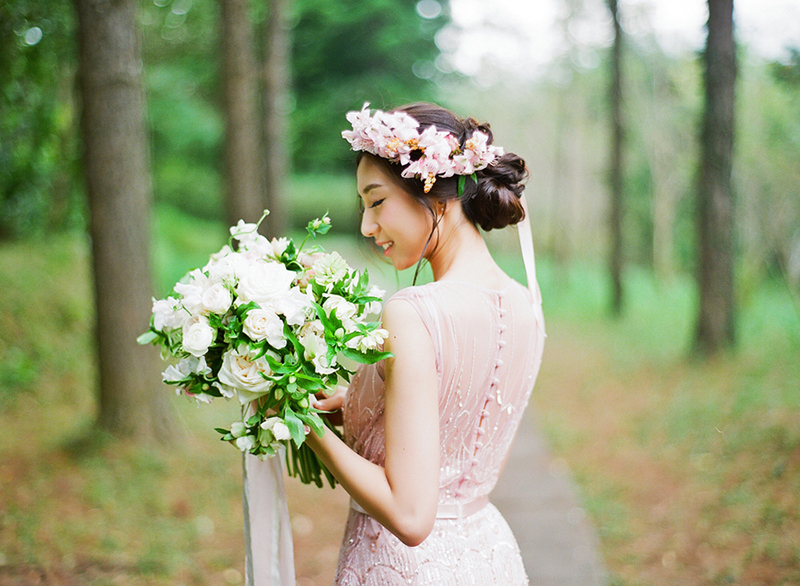 Her approach to photography is timeless, elegant and feminine, which is why we are definitely in love with film photography. 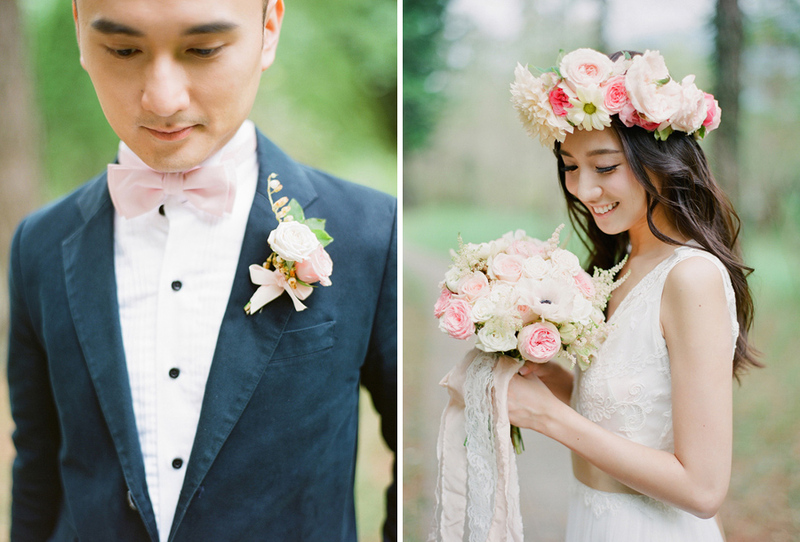 Likewise, the florals crafted were classy, sophisticated and effortlessly beautiful. 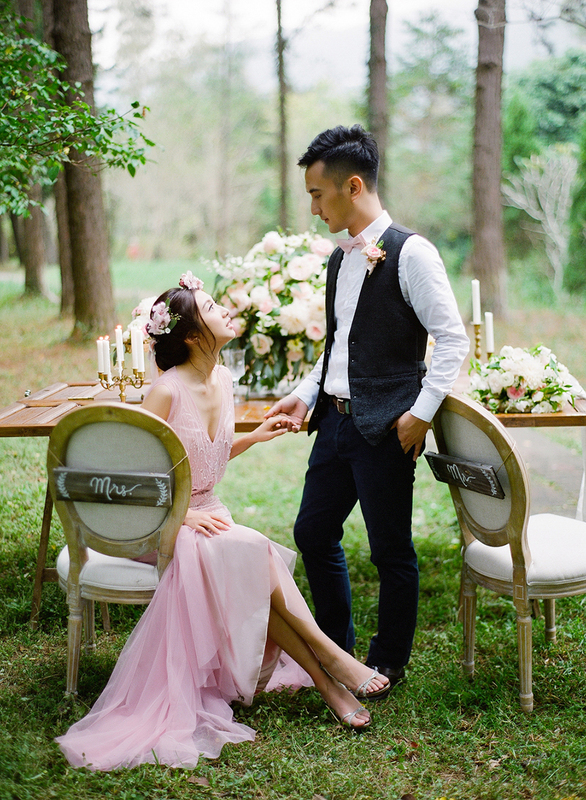 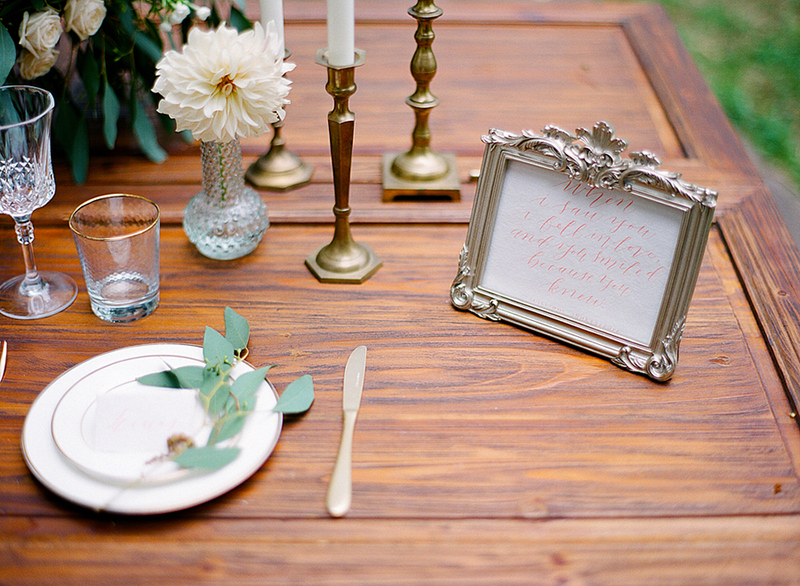 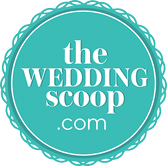 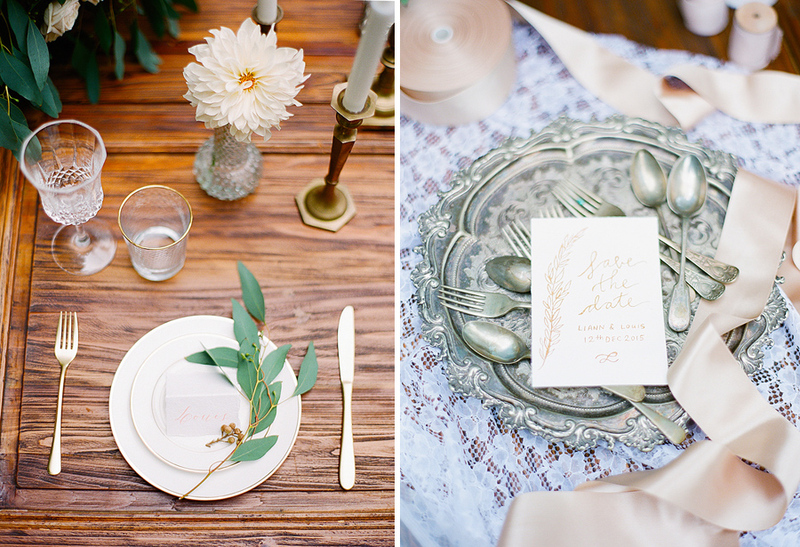 Jenny and I worked hand-in-hand on the styling and props for this styled shoot and the outcome turned out to be just as we had planned, if not better. 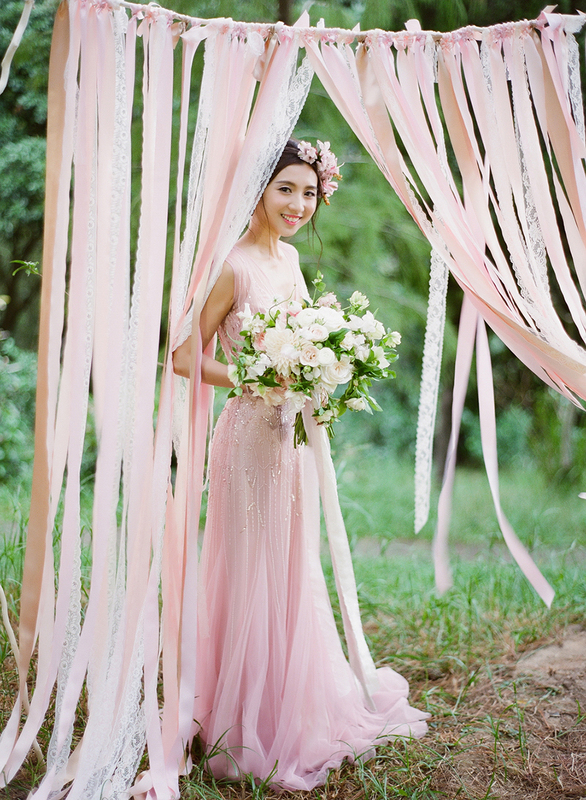 The designer wedding dresses – Trinity by Karen Willis Holmes in white and Aire Barcelona Fiesta in dusty pink – from Foi Wedding were so delicate and pretty.